Vinayak said that the it is baseless to say that we spend more time on the phone because we can do everything on the phone. What is your first reaction when you experience something nice, something unique. You savour it. Let it sink in. Enjoy the moment. Yeah, it sounds weird, right? Your compulsive reaction should be to take a photo and upload it on Facebook, Twitter and Instagram with a nice caption or just tweet about it or share a status update. It's not just the millennials who have shifted their whole life into the virtual world. Everyone is on their phones for a major part of the day and screentime is increasing as the features in new-age phone keep doubling with each update. 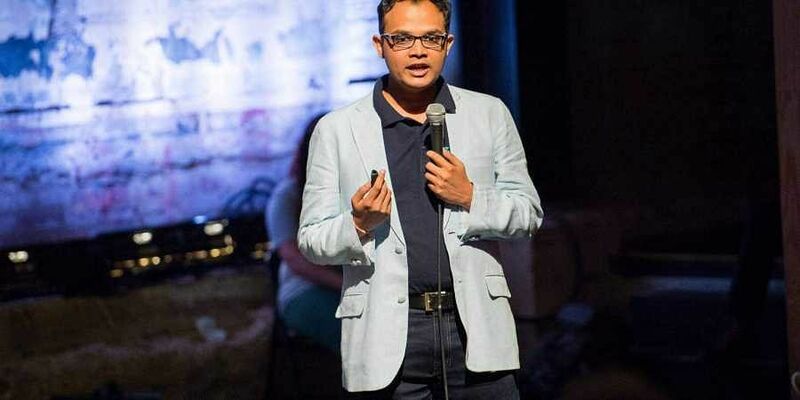 Vinayak Garg, an entrepreneur, blogger, writer and TEDx speaker, is trying to tell the world how to cut short the digital lifestyle that is eating away at our reality. Even during his IIT days, Vinayak was associated with the Society for Promotion of Indian Classical Music and Culture. They had a fellowship that enabled him to spend six months at the Dalai Lama's monastery right after IIT in 2008. "That was the first step towards a spiritual awakening if I may call it. I continued my journey with other organisations like the Art of Living but I was also associated with the monastery," says Vinayak. He gradually shifted to tech with his first venture which was about education and then the second one in healthcare since 2012. "I have had a good understanding of the tech world by 2010, which is when they reinvented mobile phones and gave us smartphones that became an integral part of our life. As the tech developed we got more comfortable around apps, social media platform etc and never realised that it was taking up so much out of our lives," he says. "I often pondered over the thought of how to use technology while still maintaining inner peace and joy. So, I started experimenting with it myself. I had gone for a silent retreat for a few days in 2014. When I came back and switched my phone on the first call I got was spam. This made me realise that I should fix a specific time for calls. This takes away the burden of staying beside the phone at all times. It gave me more time to myself. An average adult checks their phone every four minutes — in the age group of 20-30 years it's even higher," says a worried Vinayak. Vinayak also came up with an app, Night Shift, that cuts down on the blue light emissions of your phone. "Blue light is the naturally occurring light during the day. If our eyes are exposed to the blue light the brain thinks its still daytime. That makes it harder for us to sleep. That is why doctors suggest not to use the phone before bed," he explains. All Night Shift did was to put a filter on the screen light so that the blue light emissions are reduced to the minimum. Believe it or not, it helps a lot. Vinayak says that the argument that we spend more time on the phone because we can do everything on the phone is nothing but baseless. "Any app that is transactional or utility based will not demand your attention on a regular basis. It's the social media apps that do that. I have also seen people check emails on their phones when they are already at their desk. This is nothing but a force of habit. We have become so used to scrolling through our phones that we can't help it," says Vinayak. So what is the way out of this? "Ideally, I would suggest not to have any social media app on your phone. You can always check Facebook on your PC later. You can also lock out apps saying that you want to use it only for a specific amount of time. That way you will govern how much time you spend on the app," he says. The current generation is an avid consumer of digital content like Netflix, Amazon Prime or Hotstar but Vinayak says that is not so much of a pressing issue. "Whatever the content may be, you are choosing to watch it whereas in the case of Facebook or Twitter or Instagram you just browse through incessantly," he adds. "You can't let the apps provide you content that is doing you no good. You have to take control of how much time you spend on your phone," he concludes.